Daniel Bolens – new Grand Master of the International Order of Freemasonry for Men and Women Le Droit Humain. The new Grand Master tells us that he was born on 10 September 1949 in Lausanne. He is of Swiss nationality, lives near Lausanne and is married with two children and two grandchildren. Although he is francophone, he also speaks German and a little English. In his professional life, although now retired, he worked for the Swiss State in different areas linked to military and civil security. As far as his masonic career is concerned, he was initiated in June 1983 in lodge Esperance et Cordialité (Hope and Cordiality) in Lausanne, a lodge of the Grand Lodge Swiss Alpina. He was raised to the MM degree in 1985. Between 1991 and 1999 he was received into the higher degrees. 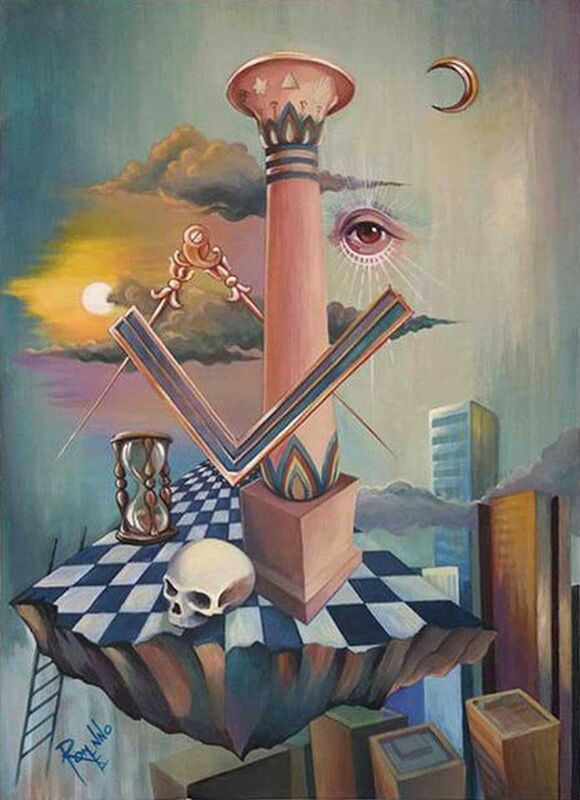 For personal reasons, he left the Grand Lodge Swiss Alpina and the lodges and units of the higher degree, and in order to follow a different masonic path. Consequently he applied to be affiliated, and was accepted into the lodge Connaissance et Vie No. 1661 (Knowledge and Life) in the Orient of Lausanne. Shortly afterwards he became a member of the Lodge Sine Nomine (Without Name) No. 1705 in the Orient of Montreux-Clarens. He was affiliated successively into different lodges and chapters of the Swiss Federation, being advanced to the 33° in May 2007, elected to the Supreme Council and named Representative of the Supreme Council for the Swiss Federation, and also MPGC. In the course of his masonic trajectory he was several times RWM and occupied all the offices within his lodges and chapters. He was President of the Consistory of the Swiss Federation, and then President of the Triangle of the 33°. He sees the role of Grand Master as seeking to be the guarantor of the diversity and at the same time the cohesion of the Order, two areas which, he says, it is not easy always to reconcile. Until 2022, the Supreme Council shall have as its task, among other things, to reflect on the renewal of administrative structures of the Order and in particular to find a satisfactory response to the question of the representation of the Federations within the authority of the Order, the Supreme Council and the International Convention. In this regard, it will be necessary for all the Federations to work together.